A group of Community First Responder volunteers have welcomed a donation from bus operator Stagecoach to help buy new life saving equipment. 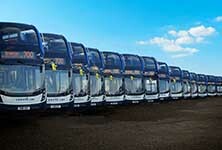 Stagecoach South have appointed Richard Smith as their new Engineering Director. 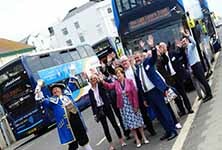 Stagecoach have launched a fleet of 30 brand new double decker buses on their popular Coastliner 700 service, which operates between Wick, Littlehampton, Worthing, Shoreham, Hove and Brighton. Passengers are set to benefit, as a fleet of 30 brand new double decker buses, with free WiFi and charging points arrive on a popular coastal route across Littlehampton, Worthing, and Brighton.